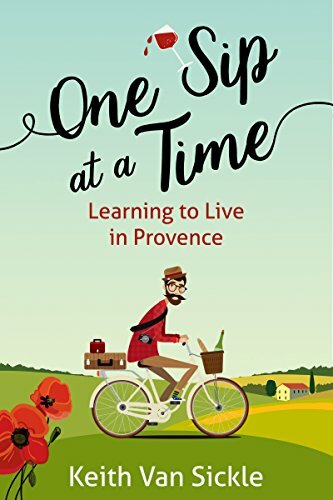 Keith and Val had a dream – to live in Provence, the land of brilliant sunlight and charming hilltop villages. This light and breezy memoir is full of wry observations on France, like the power of cheese to sway elections, the right and wrong ways for men to kiss each other, and the law requiring that blood donors must speak French. Joyeux Anniversaire: The chef had written a cookbook and I bought one for Val, which he signed. His inscription read, “Valérie, vous êtes jeune et délicieuse comme les fèves du printemps” (“Valerie, you are young and delicious like the fava beans of springtime.”) . . . I had so much to learn from the French. Interregnum: France had started to capture our hearts. It wasn’t just a place we visited; it was becoming one of the places we lived. Thomas Jefferson is supposed to have said, “Every man has two countries – his own and France.” Maybe he was on to something.